Barker Heating & Air Conditioning is a member of Bryant's Circle of Champions, which are Bryant Factory Authorized Dealers that are judged on overall Bryant-branded product sales growth, high-efficiency and indoor air quality equipment sales, customer satisfaction and participation in various dealer programs and promotions. The BBB Eclipse Integrity Award is awarded to outstanding businesses based on their demonstrated commitment to high ethical standards of behavior in the categories of management practices, customer/vendor/supplier and shareholder relations, marketing/advertising/communications and sales practices, and reputation within the industry and community. Barker Heating & Air Conditioning was honored to be a 2014 finalist for this prestigious award. 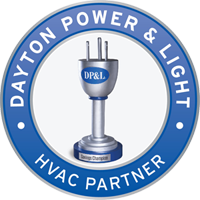 Dayton Power and Light offers rebates to residential customers who purchase and install energy efficient products for their home. DP&L Savings Champions have saved enough energy to power 72,007 homes for a year! As a participating contractor, Barker has completed the DP&L sponsored training designed to familiarize us with the program and its expectations in order to help our customers become savings champions while helping them save money and energy. 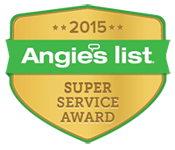 Barker Heating & Air Conditioning is a recipient of the 2015 Angie's List Super Service Award, for both HVAC Contractor and Air Duct Cleaning Contractor. 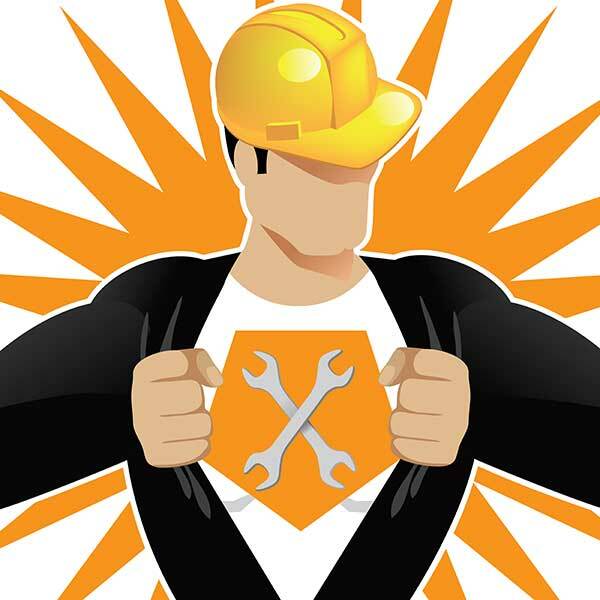 Barker Heating & Air Conditioning is a member of the Dayton Area Chamber of Commerce. 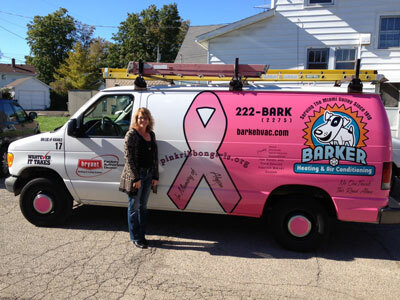 Barker Heating & Air Conditioning is proud to support the Pink Ribbon Girls in it\'s mission to ease the minds of individuals and families affected by breast cancer and make sure that "No One Travels this Road Alone". The Pink Ribbon Girls provide direct services and support to breast cancer families by providing meals, transportation, housecleaning and peer support. Click to see more about Malia and Barker\'s support of the Pink Ribbon Girls.